The chapters of the book have been selected and arranged in such a manner as to lead the students through the entire gamut of rainfed agriculture supported by suitable examples and diagrams. 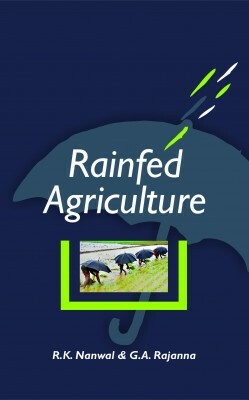 The topics covered are most relevant in view of growing interests in rainfed agriculture technologies. The focus is on new concept and approaches in dryland and rainfed lands; rainfed farming-introduction, characteristics, distribution and problems; efficient management of rainfed crops; water harvesting and moisture conservation; study of mulches and antitranspirants; principles of intercropping; concept of watershed resource management; drought and its management; soil erosion-definition, nature and extent of erosion; stress physiology; scope of agro-horticultural, agro-forestry and silvi-pasture in dryland agriculture etc.